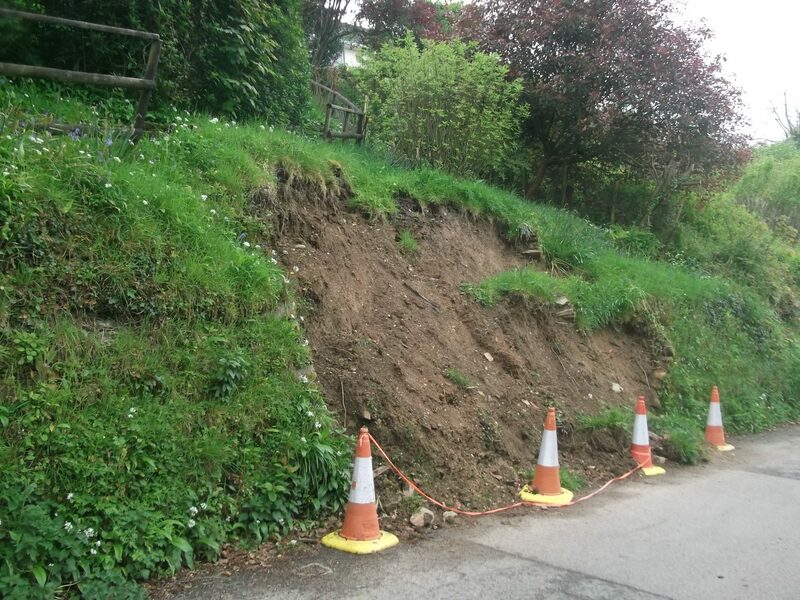 A 6m long, 2m high section of stone wall, forming the boundary between the property and the main road through the village, collapsed leaving a large area of earth exposed. 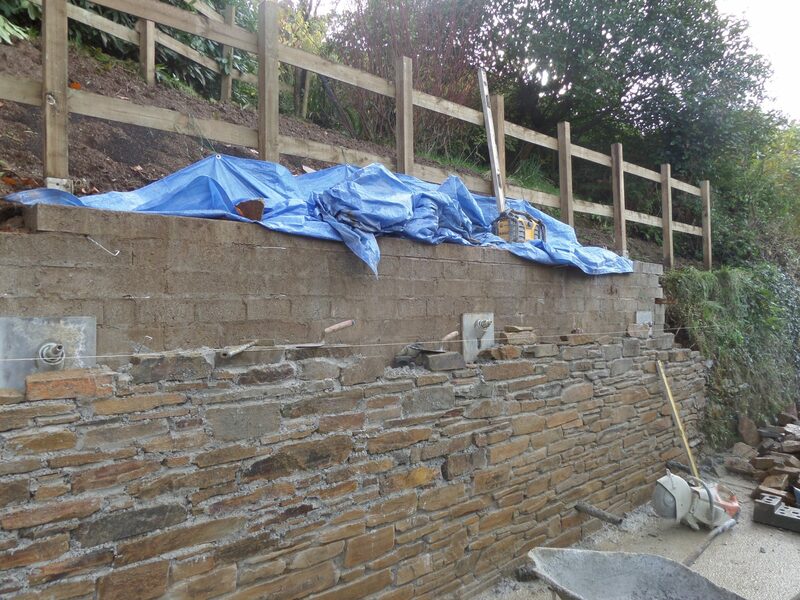 Although the collapsed wall appeared to consist simply of stone facing to an earth bank, an engineered retaining structure needed to be reinstated due to the proximity of the road. 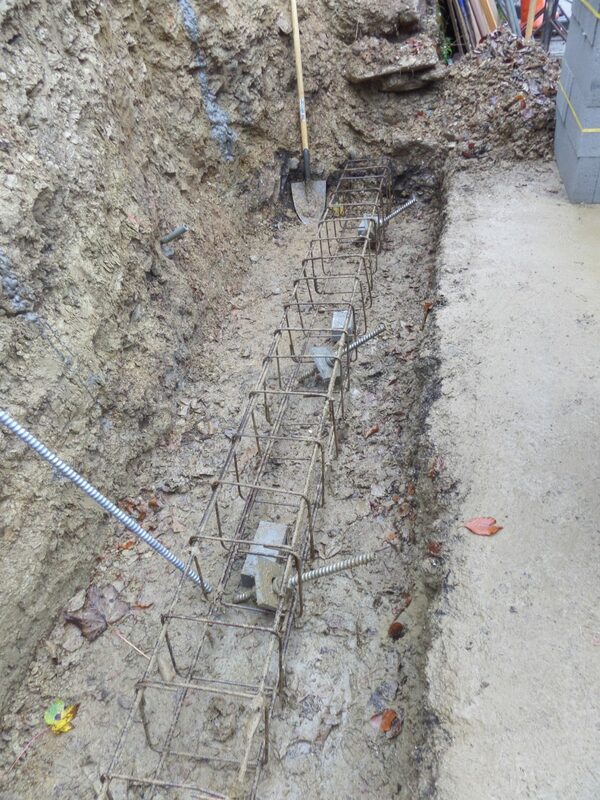 To minimise the amount of excavation required and therefore minimise the disruption to the road and garden, James Lockyer Associates designed an anchored blockwork retaining wall to be constructed on an anchored reinforced concrete beam foundation. 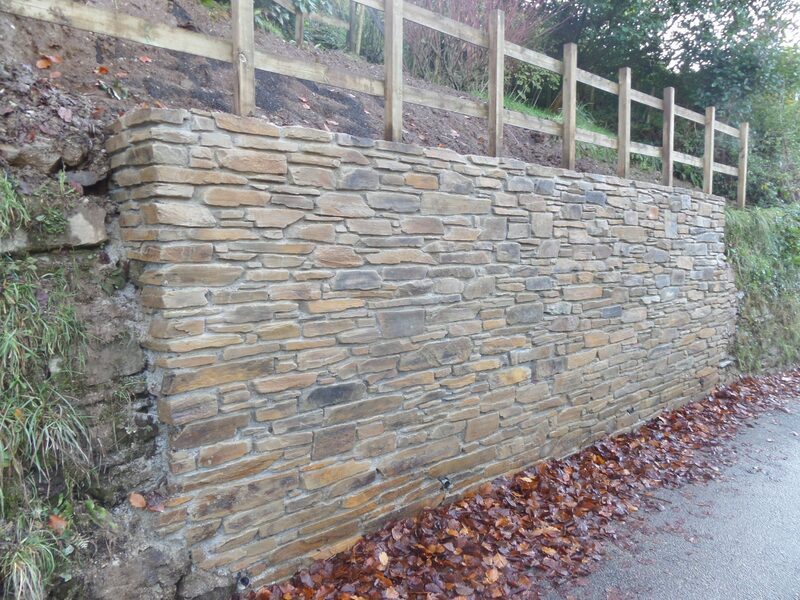 The new wall was faced with stone to enhance its appearance within the Conservation Area. 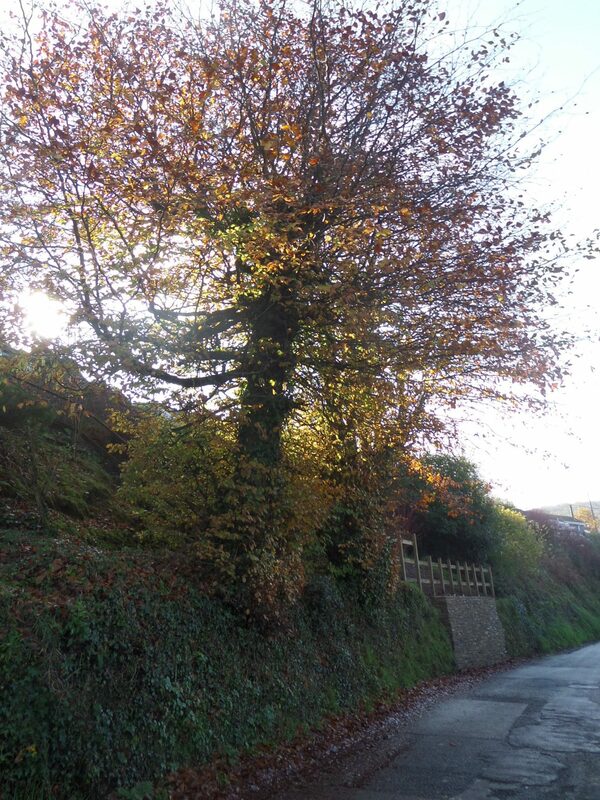 Technical Approval was obtained from Cornwall Council Highways Department for the proposed works.